Real estate professionals are vulnerable when it comes to a lawsuit. Real estate is a big business, with multiple parties, lots of moving parts, and ever-shifting market regulations and laws. It is no wonder that things can slip through the cracks, paperwork errors happen, and people get injured. So how can you arm yourself to avoid a real estate lawsuit? The best way to protect yourself, your business, and your team, is to know the risks, prepare yourself and clients to proactively avoid risks, and protect yourself with proper E&O insurance coverage. Knowledge is power. Arm yourself by knowing what the top seven claims made against real estate professionals are and how you can avoid them. Once you know these top claims, learn more about what the typical outcomes have been. Stay up-to-date on market regulations like the Real Estate Settlement Procedures Act (RESPA) and the Consumer Protection Act to help avoid a real estate lawsuit. Know your coverage and review it each quarter. Review your coverage and check to make sure that you have coverage in all areas in which you work. Consult your real estate E&O insurance carrier or agent for changes or additions to your insurance. Consult the professionals. If you are unsure of how to proceed, or encounter a situation that could potentially lead to a claim, consult with legal professionals who can guide you through the process. CRES Insurance offers legal advisory services 7 days a week — with local attorneys just a phone call away — with each E&O insurance policy. Attend risk management seminars. The real estate industry moves very fast and risk management has to keep up. Aim to attend at least one risk management seminar a year. Most insurance companies host seminars. You can also check with your local real estate professional organization or with the National Association of Realtors. Disclose everything. A large number of claims against real estate professionals arise from a lack of information given to the client. This can be anything from the state of the property, home value, past damage, or future development in the area. Be clear on what information you need to disclose and hold nothing back. Protect your clients’ data, property and personal safety. Make sure that any program or system that holds your client’s information is secure and has up-to-date software protection. Ensure your team knows how to handle confidential client information so that none gets lost, leaked or stolen. Advise clients to lock up all valuable property during an open house. If property goes missing on your watch, you are liable. You also need to ensure your client’s or a visiting buyer’s personal safety when viewing a property. This means ensuring that the property is safe to enter prior to a viewing. You can help avoid a real estate lawsuit by walking through a property prior to a showing or open house to either remove potential hazards or warn clients or visitors to avoid them. Get it in writing. You can take a simple step to avoid a real estate lawsuit by putting as much content in writing as possible. Deescalate. If you sense or know of an impending lawsuit, take action to deescalate the situation. Work with your team, contact legal support, have clearly organized documentation, and do your best to work with the client in a controlled setting to avoid a real estate lawsuit. Have a contingency plan. Regardless of the steps you can take to avoid a real estate lawsuit, one can still find its way to you. Have a plan in place in case that should happen. Know who to call, how much coverage you have, and what to do in the event of a lawsuit. 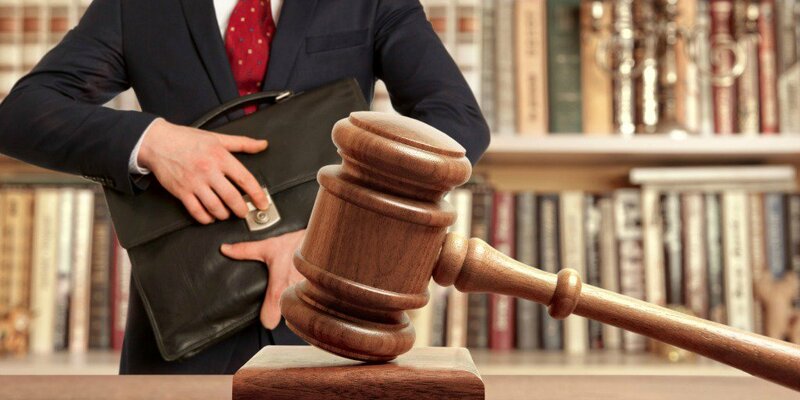 What steps have you taken to protect yourself and your business to avoid a real estate lawsuit? Tell us in the comments below.